Save The Date – Enter the National Fish & Chip Awards on the 1st of May. 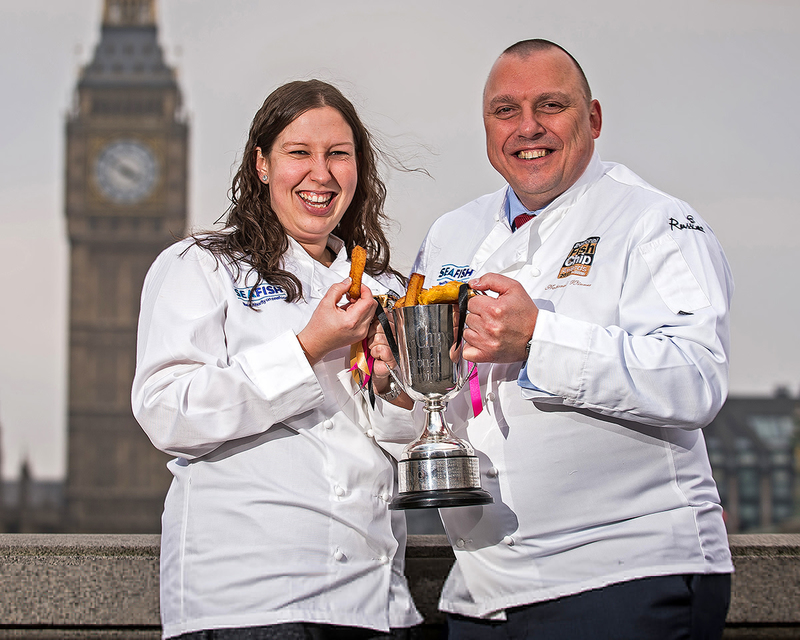 Celebrating the great tradition of fish and chips, the annual National Fish & Chip Awards showcase the best talent, quality and choice offered by fish and chip businesses across the UK. Rewarding excellence, the awards also put successful businesses on the map, via regional and national media coverage. 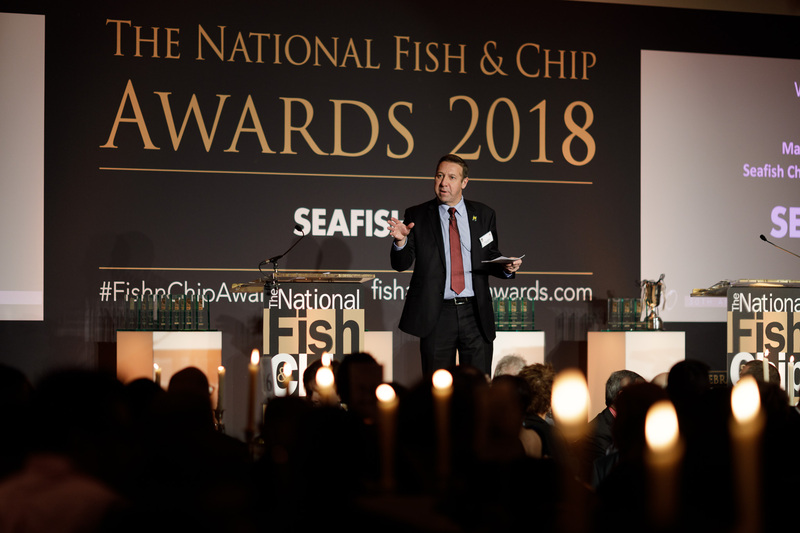 Now in their 31st successful year, and recognised as one of the most prominent and respected seafood industry events in the UK, the awards have come to be regarded as the ‘Oscars’ of the fish and chips world. • Rewarding individual excellence in a range of different award categories. • Playing a role in raising quality standards and providing a benchmark for all fish and chip businesses to aspire to. • Entering the awards can also add excitement in motivating staff to be the best. • Providing a robust platform from which to undertake a wide variety of media activity promoting the fish and chip sector and its many diverse facets, and to encourage the continued consumption of fish and chips amongst both the UK population and visitors to the country. Entering the awards is easy and the accolade of being judged one of the best fish and chip businesses in the UK can have an enormous positive impact on business. Media activity undertaken by Seafish in relation to the awards generates fantastic publicity for both participating businesses and the wider fish and chip sector. Across the award categories, various judging rounds culminate at a prestigious awards ceremony in London in January where all the award winners are announced. The accolade of being shortlisted in the awards can have an enormous impact on business – previous Regional winners’ of the flagship Fish and Chip Shop of the Year Award category have seen their turnover increase by up to 50% and some past National winners have seen their turnover increase by as much as 100%! However, at every stage of the awards there are fantastic local PR and marketing opportunities for businesses just by being part of the awards. One of the main benefits of participation is the valuable performance feedback report that is supplied post-judging, providing often very valuable impartial insight to a shop’s operations – a process that if undertaken with a commercial mystery dining company could cost shop owners in the region of £100. Just one of the many benefits to be derived from being a part of the National Fish & Chip Awards. 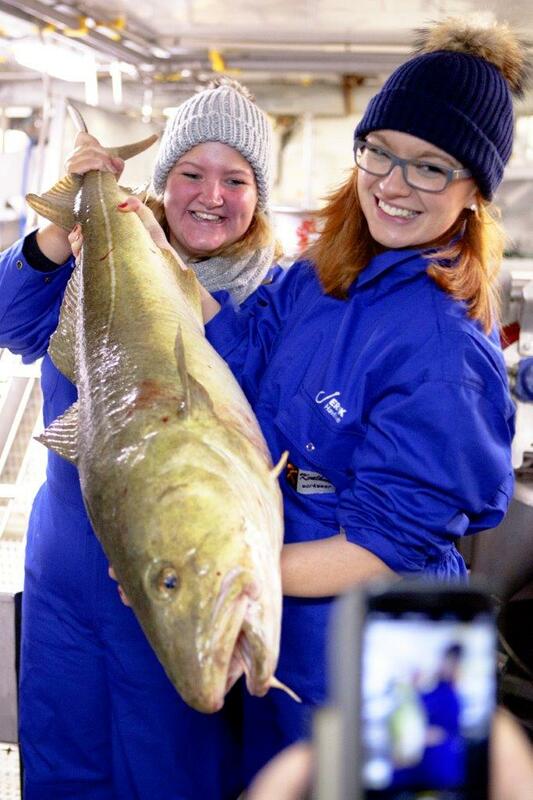 In a number of award categories, shortlisted businesses also have the opportunity to join various all-expense-paid industry study trip visits, providing the opportunity to learn more about where our seafood comes from. 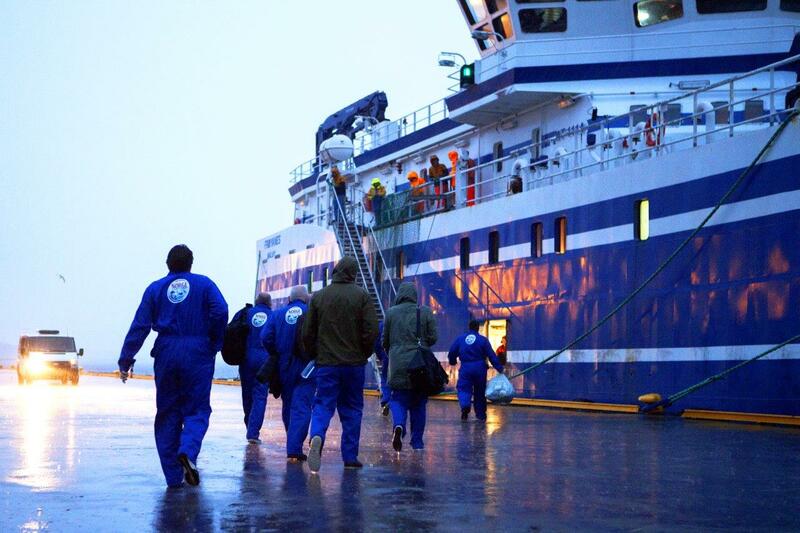 Previous visits have included trips to destinations including Norway and north east Scotland. In addition to a simplified and more streamlined online entry process, one of the major changes to this year’s awards program is the revamped judging format for the latter stages of the flagship Fish and Chip Shop of the Year Award – with the introduction of an exciting ‘free draw’ element for the Top 20 judging stage. Instead of the previous format of shops within a defined region competing against each other, names of shops will be drawn from the Top 20 listing in order to pair respective shops that will be judged against one another. For example, allocating a letter of the alphabet against each individual Top 20 shop, shop D could be drawn to compete against shop K, shop P could be drawn to compete against shop E, and so on, etc., etc.. This judging stage will determine the overall Top 10 shops in the UK that will progress to the national final judging stage. • Fish and Chip Shop of the Year Award – Open to all independent fish and chip businesses with a takeaway facility. • Fish and Chip Restaurant of the Year Award – Open to all independent fish and chip restaurants. • Best Mobile Fish and Chip Operator Award – Open to operators of mobile fish and chip businesses. • Best Multiple Fish and Chip Operator Award – Open to fish and chip operators with three or more outlets including franchises. • Best Newcomer Award – Open to fish and chip operators that are new to the industry and that have been in operation since no earlier than 1 May 2016. • Staff Training and Development Award – Open to all fish and chip businesses. • Best Foodservice Operator Award – Open to all foodservice operators that serve fish and chips but where fish and chips is not their core offering – such as pubs, cafes, department stores, hotels, travel and leisure outlets. • From Field to Frier Award – Open to all fish and chip businesses and rewarding knowledge and promotion of responsible sourcing and sustainability practices regarding potatoes and chips. 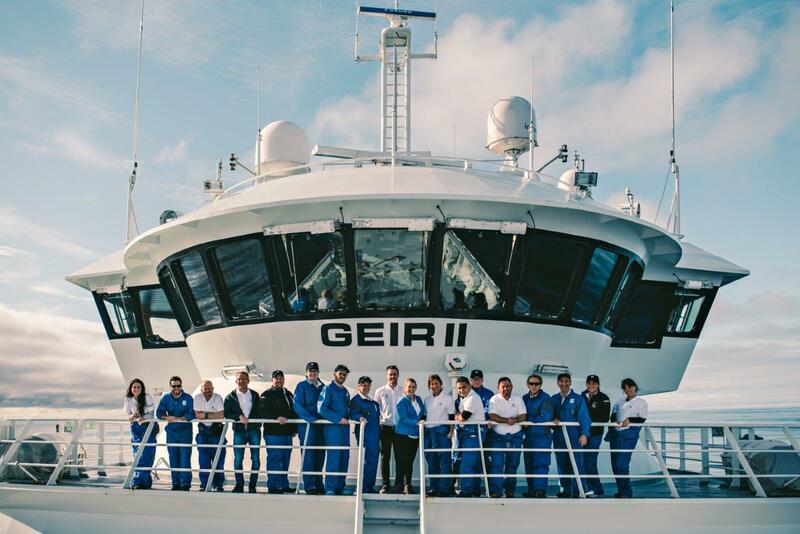 • Drywite Young Fish Frier of the Year Award – Open to all applicants who are aged 25 years or younger as of 31 December 2018. • Marketing Innovation Award – Open to all fish and chip businesses. • Good Catch – The Sustainable Seafood Award – Open to all fish and chip businesses and rewarding knowledge and promotion of responsible seafood sourcing and sustainability practices. • Healthy Eating ‘Fish and Chips’ Award – Rewarding businesses that are excelling in educating and informing their customers on dietary and healthy eating choices and the nutritional values of fish and chips. • NFFF Quality Award ‘Champion Award’ – Open to all current National Federation of Fish Friers Quality Award holders. • Best Seafood Week Campaign Award – Open to entry from all fish and chip businesses who participate in Seafood Week 2018 (5-12 October). You can also keep up to date with all the latest awards news via https://twitter.com/FishnChipAwards. The 2019 awards open for entry on 1 May 2018.